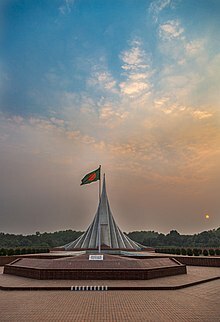 A national monument is a monument constructed in order to commemorate something of national importance such as the country's founding, independence or a war. The term may also refer to a specific monument status, such as a national heritage site, which most national monuments are by reason of their cultural importance rather than age. 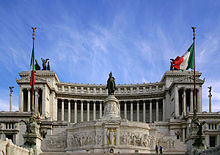 The National monument aims to represent the nation, and serve as a focus for national identity. A series of structures or areas deemed to be of national importance and therefore afforded protection by the state are part of a country's cultural heritage. These national heritage sites are often called something different per country and are listed by national conservation societies. Romania has listed at least one plant as a national monument, Nymphaea lotus f. thermalis. ^ Veler, Ana (November 2008). "Nymphaea lotus up north, naturally". Water Gardeners International. Bucharest, Romania. 3 (4). Retrieved 9 August 2014. This page was last edited on 31 January 2019, at 12:13 (UTC).